1)Perfect time for uploading a video. 1)It's very important to share videos on social media after uploading a video.Also make a post on your blog about this video. 2)After making a blog post about your video make sure to share it with all social networking sites also on other sites. 3)Dont stop after making a video. Keep proper treatment of it.Use good video editing software for video editing. 4)The contents have to be funny and engaging for making it viral. 6)Use your logo for video or use your website information on it. 7)Of course use good camera and equipment also if it costs some money then buy it also get helps from professionals. 8)Make high resolution video so that your visitors can easily see it. 9)Try to make series videos so that your visitors will wait for your next video. 10)If you want to get feedback from your visitors than tell them to like and comment and share. 11)Dont use those music which is not yours.Also make effective title for your video. 12)Make tags with matching keywords so that you will get more visitors. 13)In your blog,Facebook, Google plus and twitter make article with your videos link. 14)Ask your visitors to subscribe to your channel so that they get notifications when you will add new video. 15)Join your video related community on google plus and keep posting with your link. 16)Make script of your videos before uploading your video. 17)Dont upload videos in the manner of publishing ads.Make informative videos which will entertain your visitors. 18)If possible then make live videos with your webcam also show yourself in video so that your visitors will trust you. 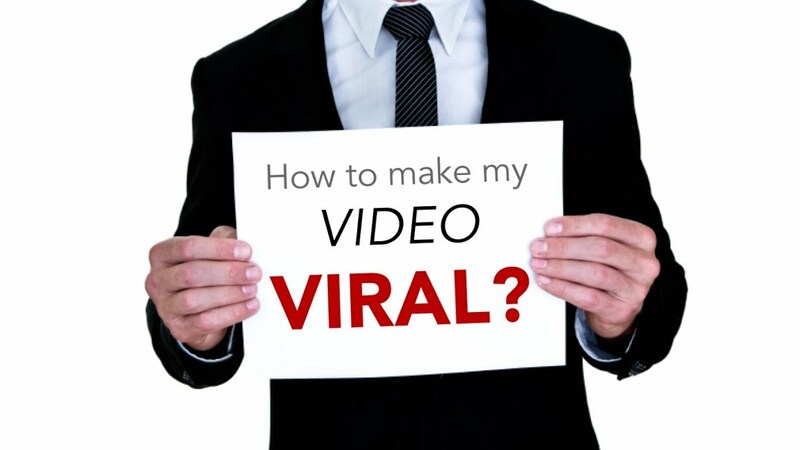 Hope now you understood how to make your videos go viral.Also don't forget to share with us.Keep commenting and sharing this post with your friends. thanks for sharing these useful and important tips about video marketing. Its helps me in social media marketing Bangkok.